With an impressive history, track record of business success and an innovative approach, use an experienced Interim Director for new prospects in 2019. Stephen Tasker is seeking a new venture. As an interim director, Stephen has an eye for new business opportunities- with a proven track record of troubleshooting, refining teams and increasing company turnover. –Lotus- Stephen worked in the marketing department at Lotus, learning the value of creative thinking and taking an unconventional approach. He also gained experience in the service department, preparing factual analysis of issues for the service manager. –Brand Manager at Ready Brek– A household name, with wholesaler contracts and a variety of marketing tactics, including TV, aggressive on pack and commercial sales. –Product Development Manager at Crown Paints- Stephen lead the product and pack development single-handedly for this large national brand. “Stephen has been a hugely valuable asset for us during 2018. Working with us at the college 4 mornings a week he has changed the culture of the way we operate, navigating us towards a commercial focus, introducing new initiatives and mentoring staff. 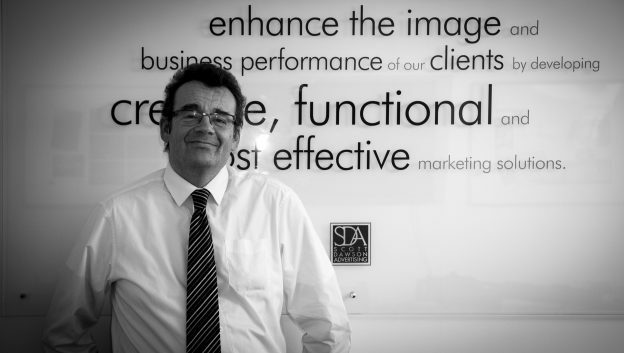 “We have been hiring Stephen out as an extension of our marketing services at SDA, when a client has a need for an interim marketing or special ops commercial director. We have seen great success as it dovetails with our existing services. Call Scott Dawson Advertising on 01282 426 846 to discuss how Stephen can take your business to the next level. This entry was posted in Scott Dawson on January 3, 2019 by admin. This entry was posted in Scott Dawson on November 3, 2017 by admin.